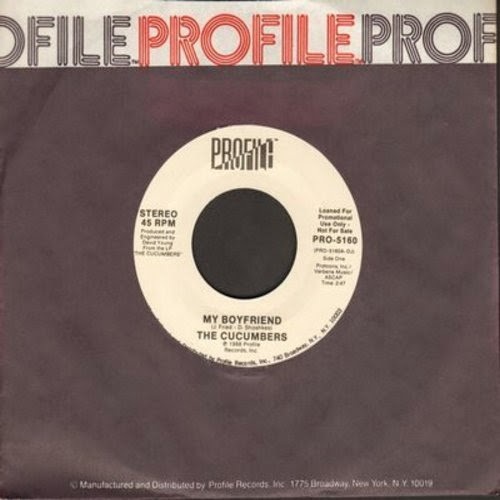 From Hoboken, NJ in 1983, please enjoy indie-rockers The Cucumbers and their delightfully infectious college radio hit "My Boyfriend." Or as Dean of American Rock Critics Robert Cristgau said in the Village Voice at the time -- "a girl-group masterstroke for a feminist age." I don't know if I'd go quite that far in the fulsome praise department, but I do think "Boyfriend" is as cute as the proverbial bug's ear. Although -- as I confessed with some embarrassment last week to Cucumbers singer Deena Shoshkes (who had graciously sent me some of her more recent work, and see below) -- I somehow managed to miss the song back in the day. I mean I had heard of the Cucumbers -- hell, I lived in Hoboken for much of the 80s -- but for whatever reason, the record never impinged on my consciousness. I hope posting it now will make some small amends for that. I should add that Deena's thoroughly charming new CD Rock River -- which is very Cucumberish (although it takes some interesting pop and country stylistic detours) and behooves, as they say behearing -- can (and should) be sampled over HERE. ...over at CD Baby HERE. One of my Facebook pals said "The B-52s should have covered it," which is very high praise, and deserved. The Go-Go's meet the B-52's by way of "Is She Really Going Out With Him" and kinda anticipating "Love Shack." "My Boyfriend" is terrific. 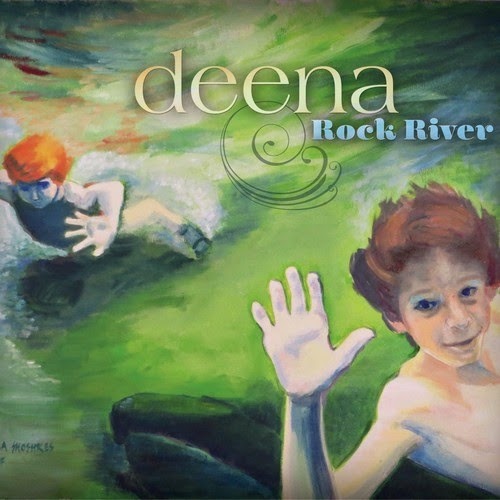 Deena sounds like she knows exactly who she is and what she should be singing. Your Tuesday Moment of Indolence. More Cowbell! Seriously -- Lots More Cowbell!!! !